There are 98 horses still entered in the Grand National and there are plenty of eye-catching names among the possible runners at Aintree on April 11. Most of the fancied runners have stood their ground at the latest declaration stage and the field will eventually come down to 40 who will line up at the start. Last year’s winner Pineau De Re is among the entries and he will be bidding to become the first horse since Red Rum in 1973 and 1974 to win the race two years in a row. In all, seven of the first eight home in 2014 are again entered. The only horse missing from that list is Double Seven, who finished third 12 months ago, but is out for the rest of the season due to injury. One of the most interesting entries still in the field is Lord Windermere. The Jim Culloty-trained horse won the RSA Chase at the Cheltenham Festival in 2013 and then the Gold Cup in 2014. He is currently being prepared to defend his Cheltenham crown in March. However, if Lord Windermere is to then go on to run in the Grand National, he would have to achieve a rare feat. 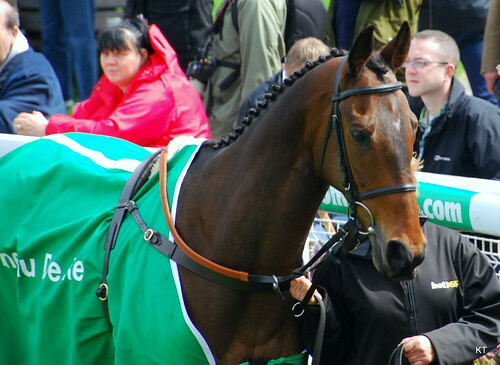 Only two horses have previously won both the Gold Cup and the Grand National – Golden Miller and L’Escargot. There are several other horses who could run in the Gold Cup before potentially heading to Aintree. Many Clouds is one of the leading fancies for the Gold Cup after winning the Hennessey Gold Cup and the BetBright Cup Chase so far this season. His trainer Oliver Sherwood has previously stated that Many Clouds is unlikely to run in the National this season, though, so it is worth holding on to your money on that one when you start thinking about betting on the Grand National. Shutthefrontdoor won the Irish National last year, but is currently being prepared for the Gold Cup, along with the Paul Nicholls-trained pair Sam Winner and Unioniste. Stamina is certainly the name of the game when it comes to winning the Grand National and there are a few horses still in the field who have demonstrated those credentials in the past. The most recent is Bob Ford, who won the West Wales National at Ffos Las on January 31. The last two winners of the Scottish Grand National are also in the field. Godsmejudge won at Ayr in 2013 for trainer Alan King and was then runner-up last year to Al Co. Monbeg Dude and Mountainous were the 2012 and 2013 winners of the Welsh National, respectively, and are in the entries, although the 2014 winner of the Chepstow feature – Emperor’s Choice – is missing. One of the more interesting horses still left in the race is Sunnyhillboy, who was beaten a nose by Neptune Collonges in the 2012 Grand National. The Jonjo O’Neill-trained 12-year-old has not run since winning at Cheltenham in December 2013. Sunnyhillboy, though, is not the oldest horse left in the race. That honour falls to Oscar Time, the 14-year-old who was second to Ballabriggs in 2011 and fourth to Auroras Encore in 2013. Oscar Time also won over the National fences in the Becher Chase at Aintree in December. However, the only horse to have won the National over the age of 13 was Peter Simple way back in 1853. There are also 25 entries from Ireland, which was responsible for a hat-trick of wins in the mid-2000s. The National picture is likely to become clearer on February 17 when the weights for the race are announced and you will have a better idea of which horses are most likely to run. The Cheltenham Festival will also impact on the possible runners for Aintree. But, whatever happens, there is the potential for the race to be one of the classiest for many years.